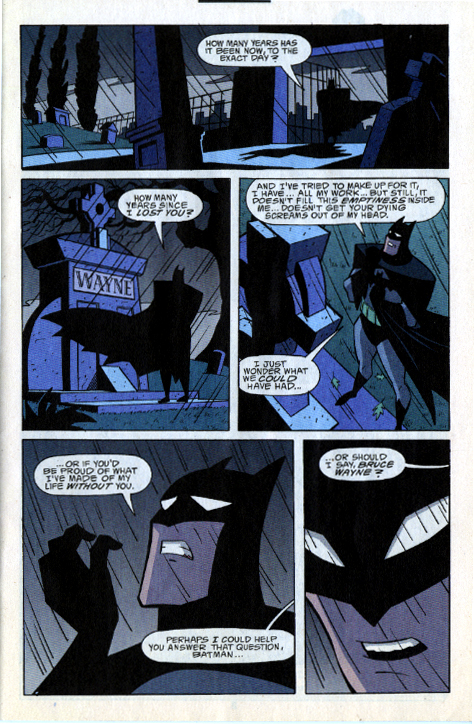 For the next 22 days I will be serially posting each page from Gotham Adventures #33, published by DC Comics in February, 2001. 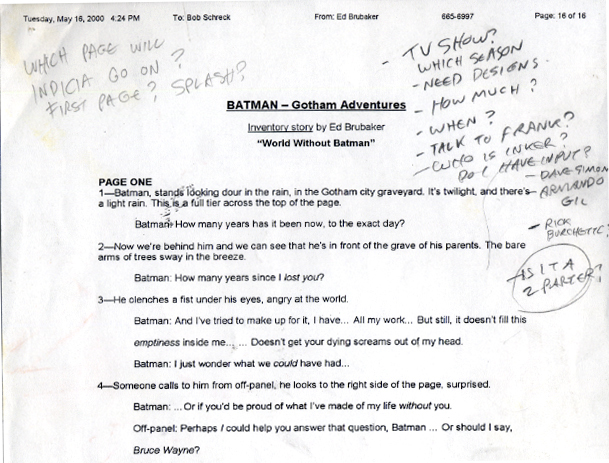 I will be posting Ed Brubaker’s script, my roughs, pencils and printed versions of each page. 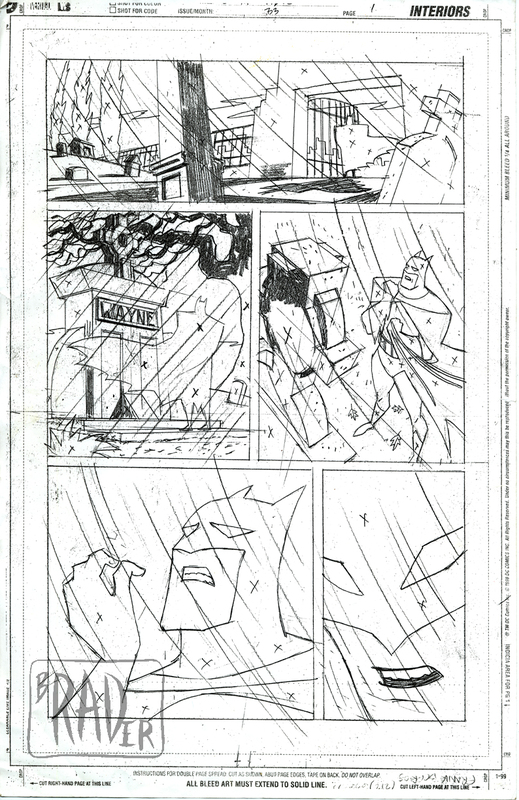 Gotham Adventures #33 was my first time working with editor Bob Schreck since we collaborated on “The Mark: In America” for Dark Horse Comics in 1993 (the mini-series was published in early 1994). 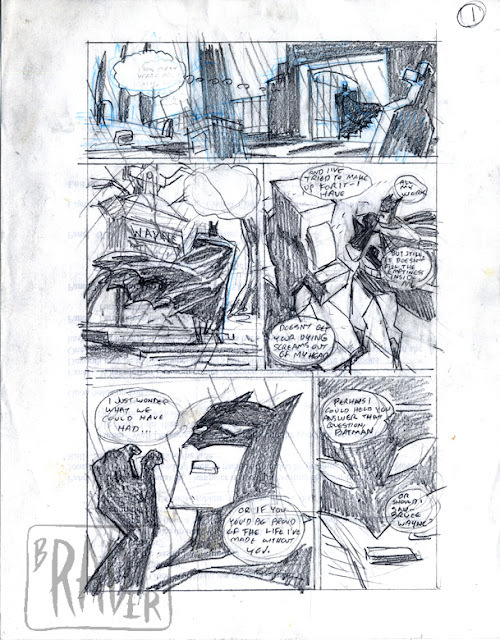 It was the spring of 2000 when I heard that Bob had been hired as a group editor at DC Comics and I called him with the happy news that I was available to do comics. He was receptive , told me he would keep me in mind. At the time, I was a staff storyboard artist at Disney Television on the series version of their recent hit movie, “Tarzan”. Bob called me, told me he needed an inventory book in a month for the Gotham Knights series. I accepted the job even though I had, by this time, developed a policy against doing free-lance while working a day job. But it was a chance to do comics for DC once again, so I over-road my misgivings and accepted the assignment. After all, it was a chance to do Batman in a style other than that of the animated TV series. I discovered to my disappointment that the story was for the Gotham Adventures book, not Gotham Knights, which I had mistaking understood Bob to have said. Oh well, maybe t’was for the best, since I had a better chance making the precipitous deadline with the simple Batman Animated style than a more realistic style for the regular Batboys.